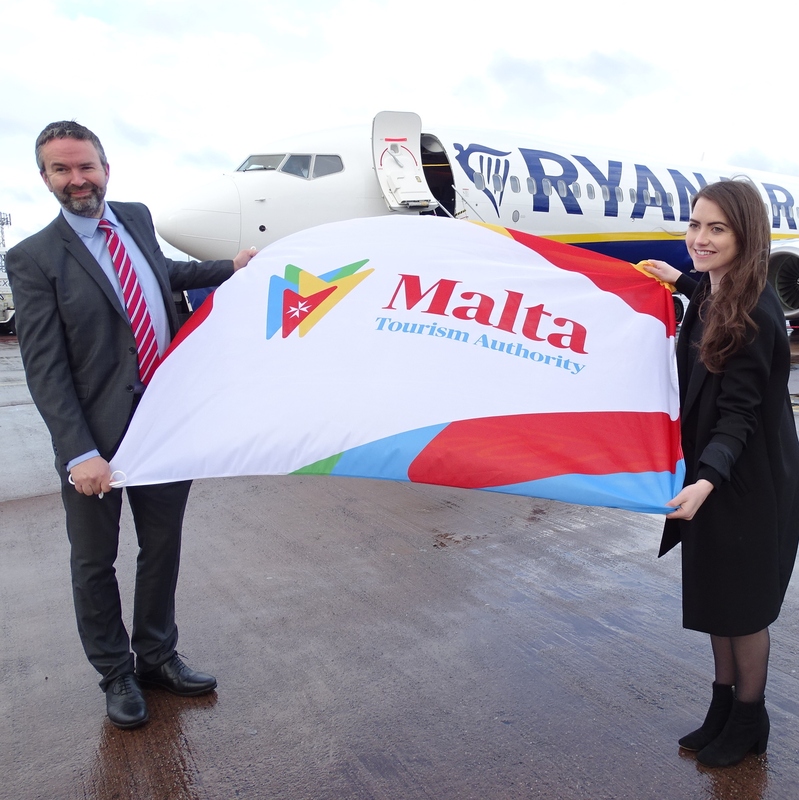 Exeter Airport is celebrating the start of Ryanair’s first ever flights from the airport with three new routes to Malta, Malaga and Naples all starting this week. The twice-weekly flights are expected to attract up to 85,000 customers a year to Exeter Airport, taking passenger numbers over the one million mark. And Ryanair has announced that its services to Malaga and Malta will continue through the winter. To cater for extra demand the airport is investing almost £1 million in new facilities including a passenger pre-flight boarding area with a new entrance from the departure lounge. Ryanair’s first flight from Exeter to Malta departed this morning (April 2) and the first flights to Malaga in Spain, and Naples in Italy, depart on Wednesday (April 3).